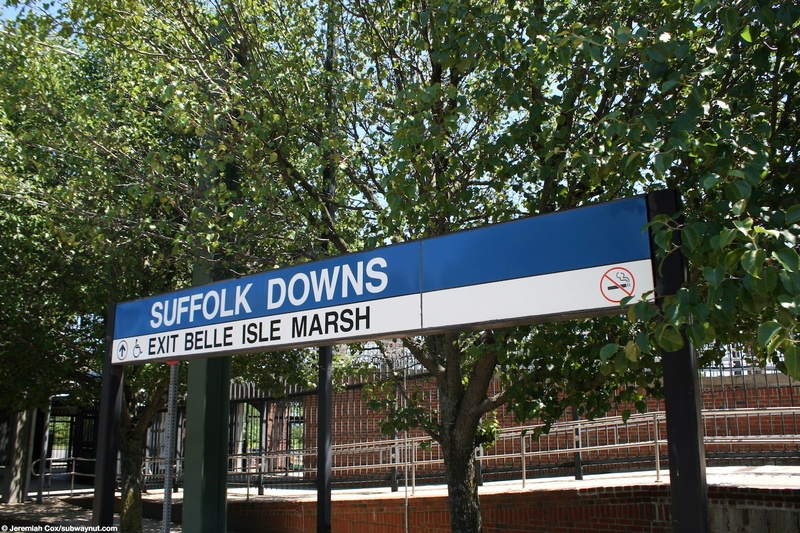 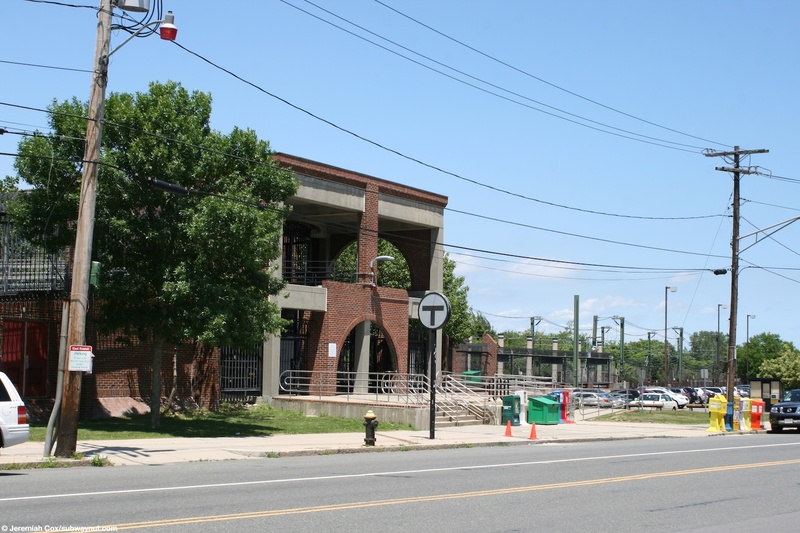 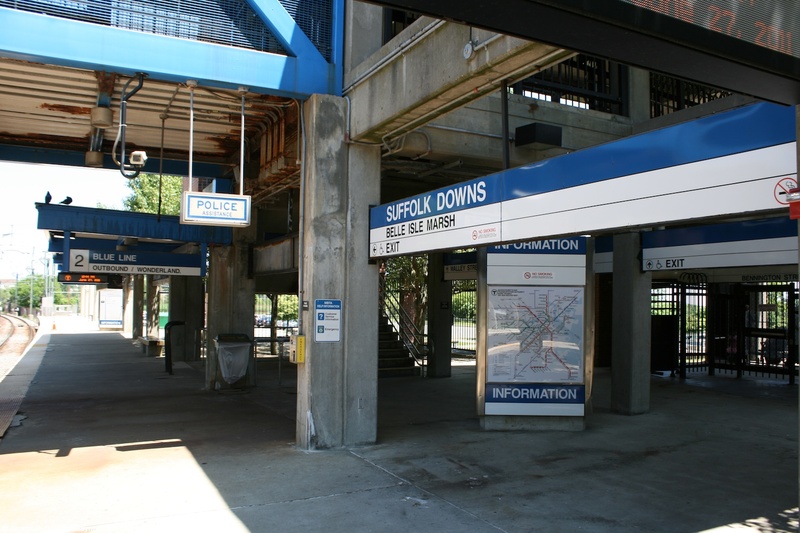 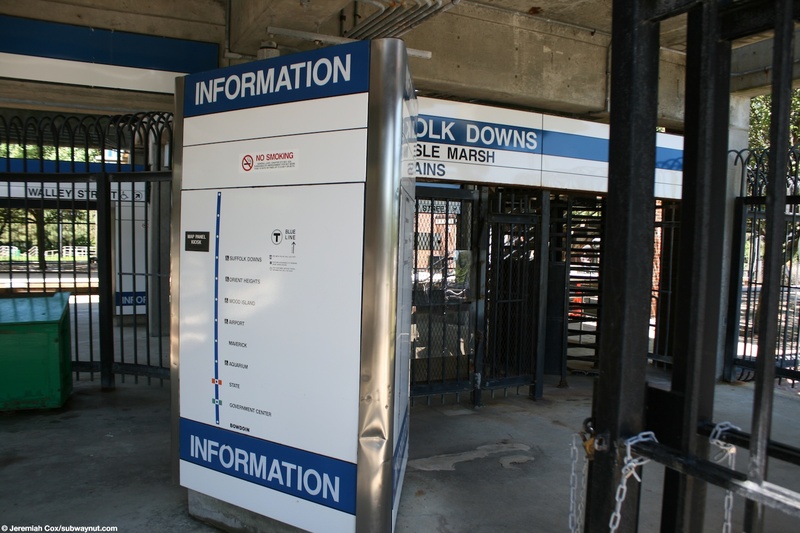 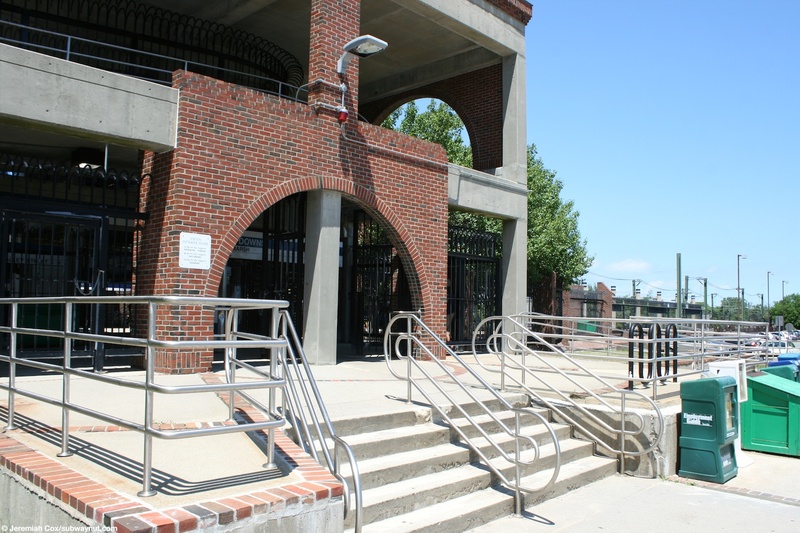 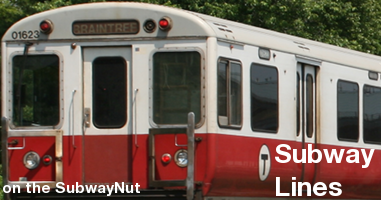 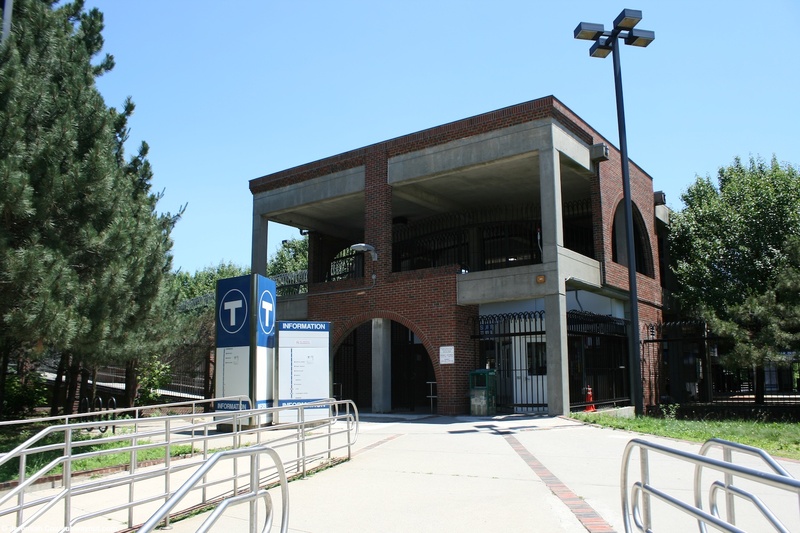 Suffolk Downs is a blue line station with two side platforms and an extremely poorly designed overpass connecting the two platforms that are at street level and have only small portions (for about a train car) that are canopied. 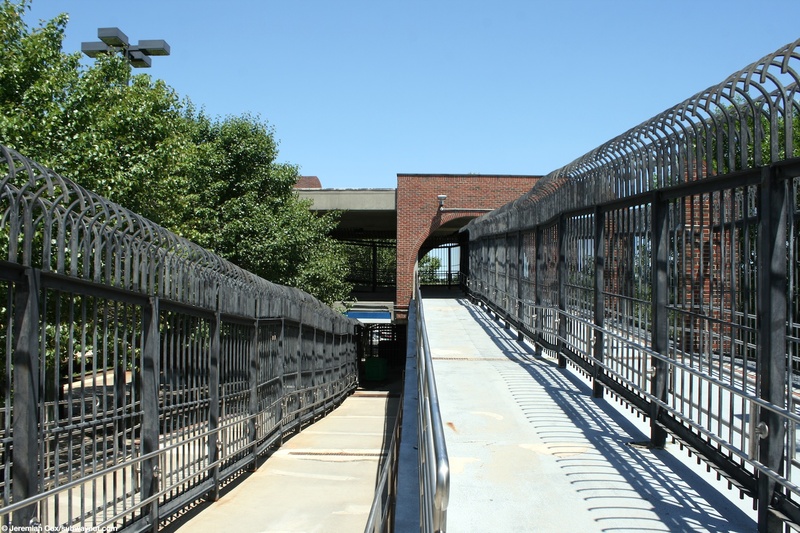 The reason the station's overpass is so poorly designed is due the ramps for accessible access. 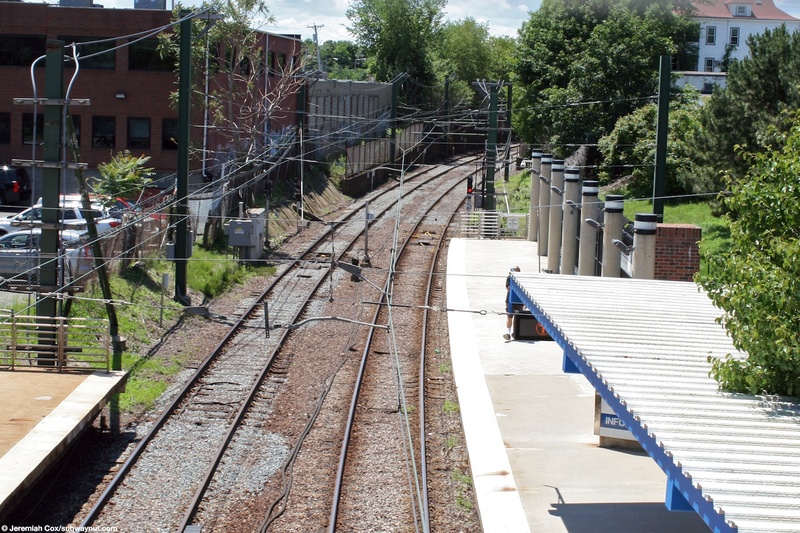 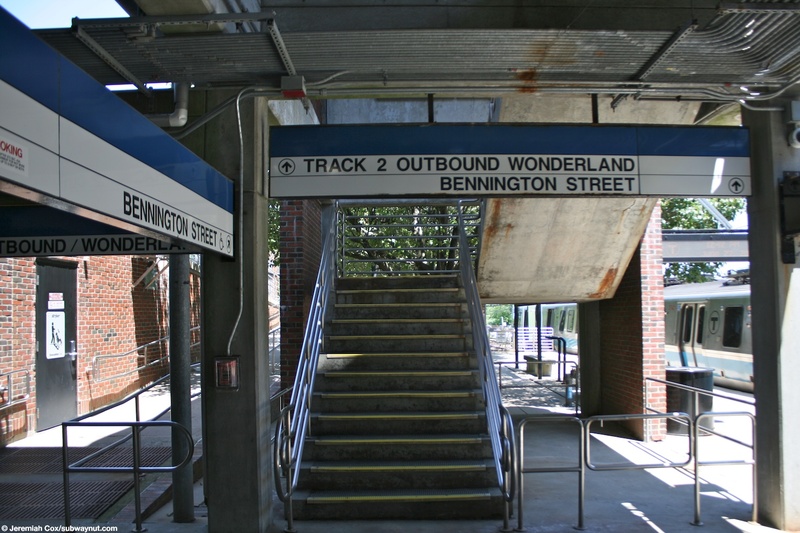 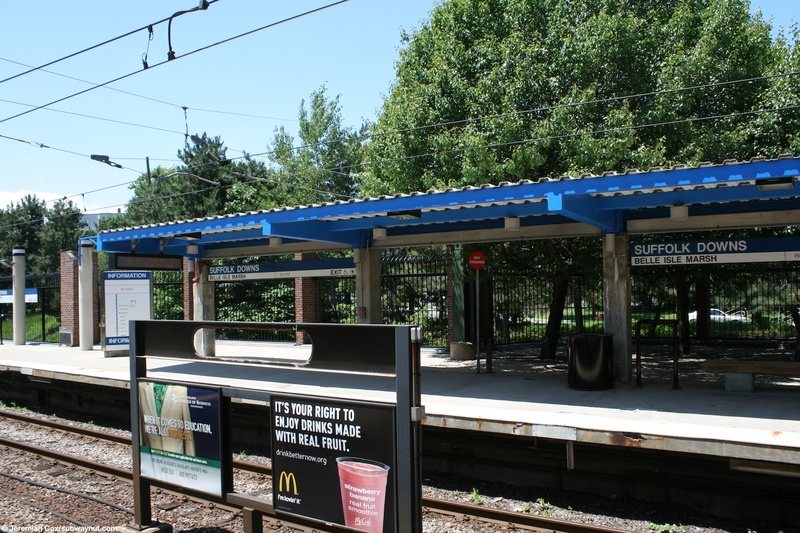 The outbound platform has a single high exit turnstile directly from it out to Bennington Street. 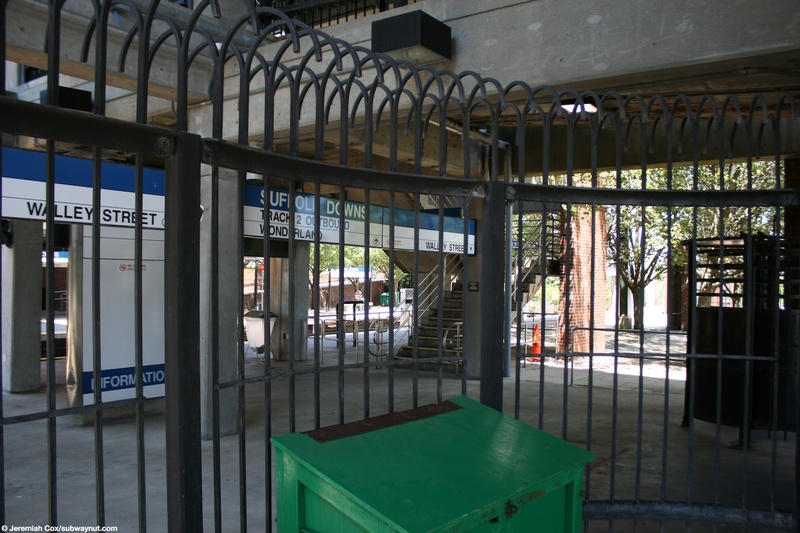 Anyone trying to board a train from this must follow the shared (by a fence) overpass to the inbound platform. 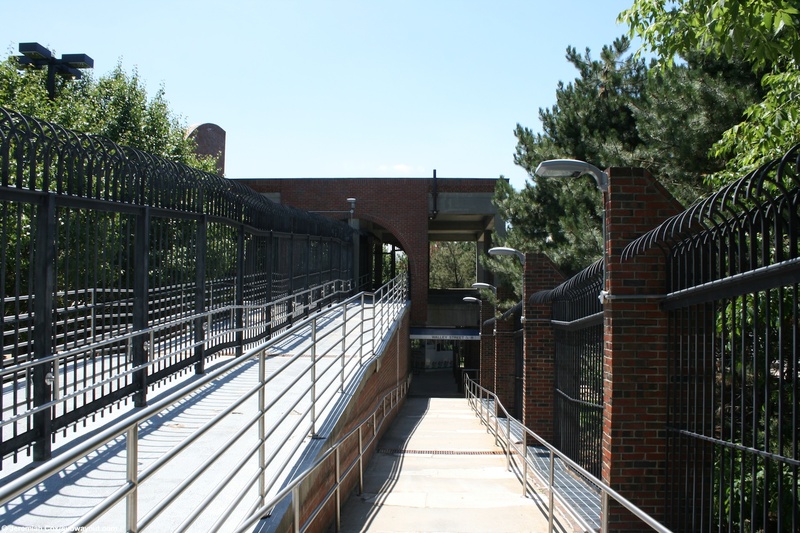 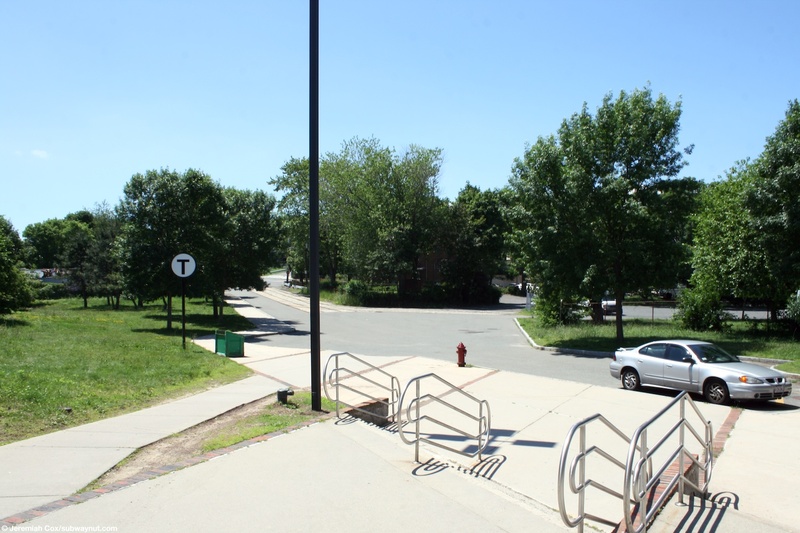 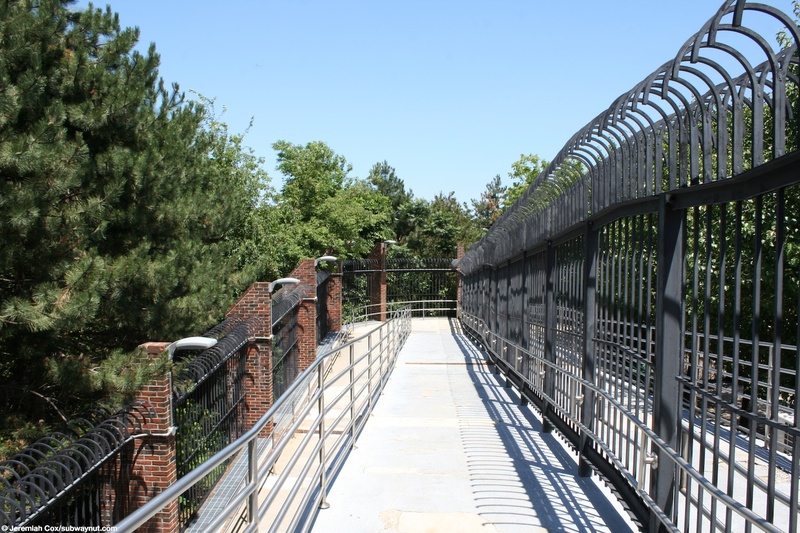 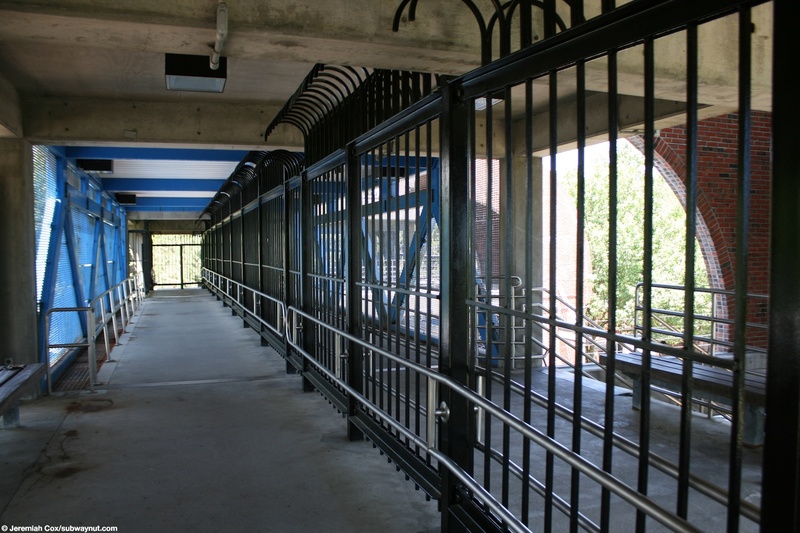 The overpass walk is long due to the fact that there is are shared ramps for ADA access at either end with a high fence dividing the portions outside and within fare control. 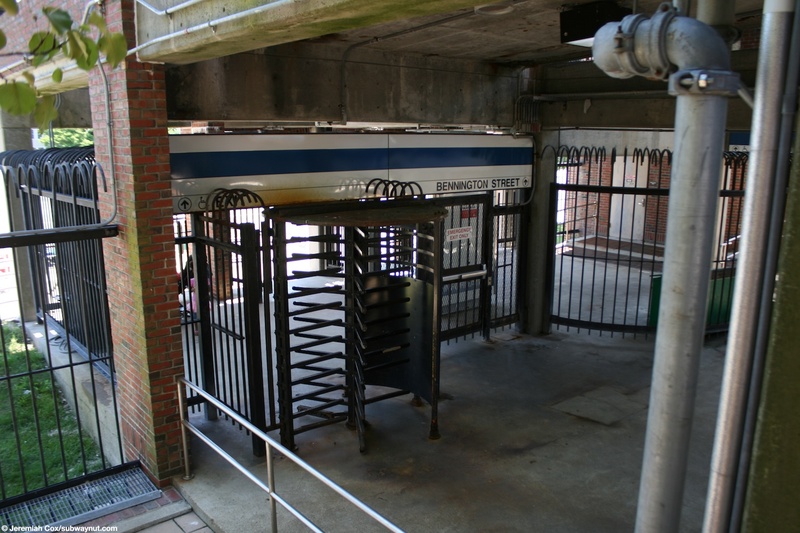 Only the side within fare control has a staircase to each platform to avoid these ramps. 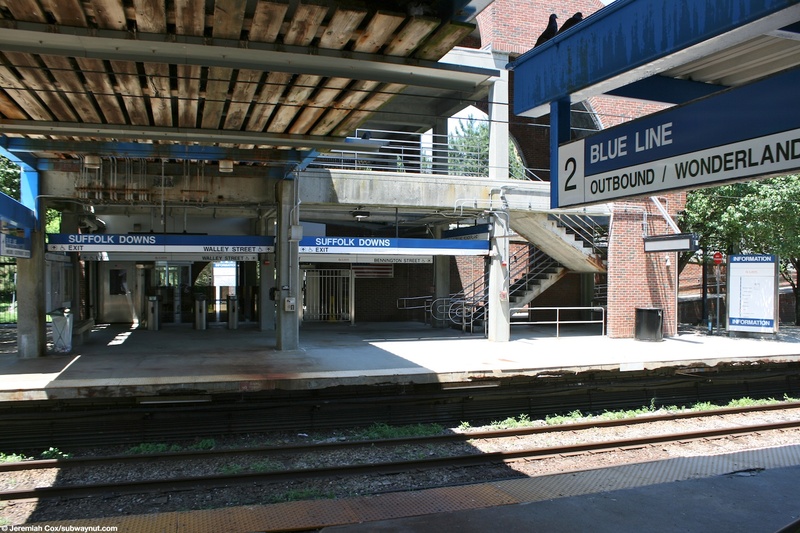 The inbound platform has the stations fare gates and another entrance from the end of Walley Street. 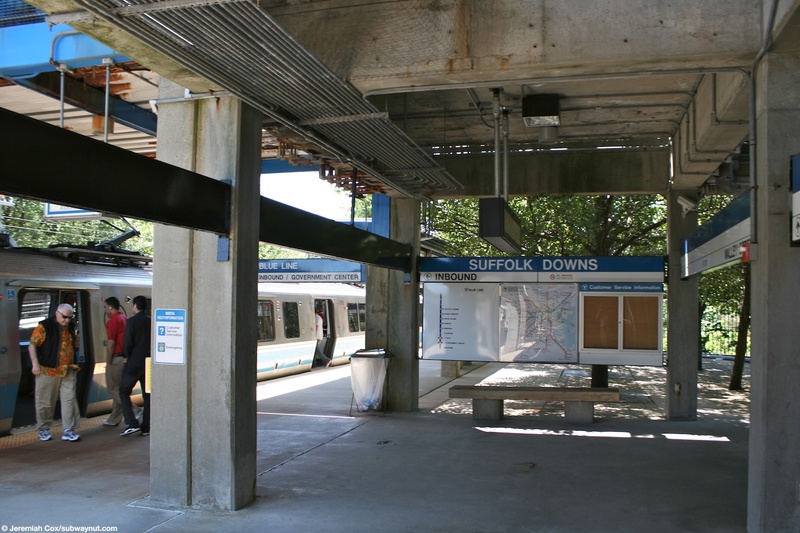 Along the outbound platform there is also a small parking lot. 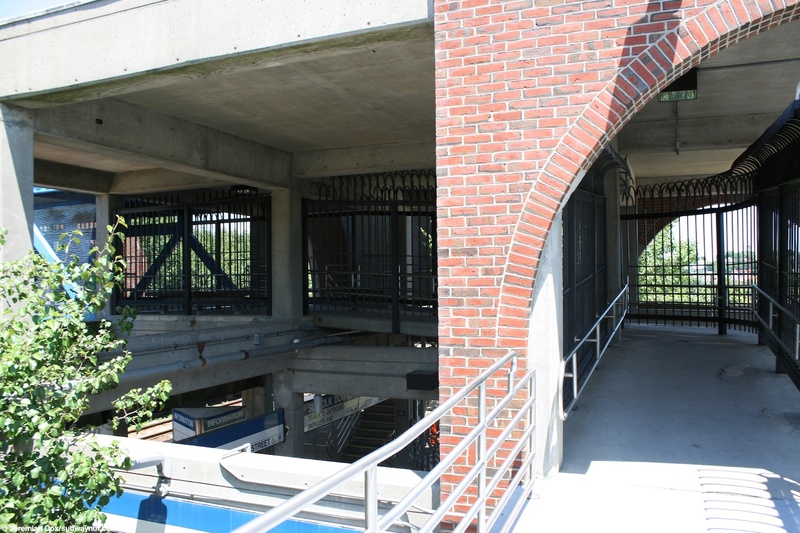 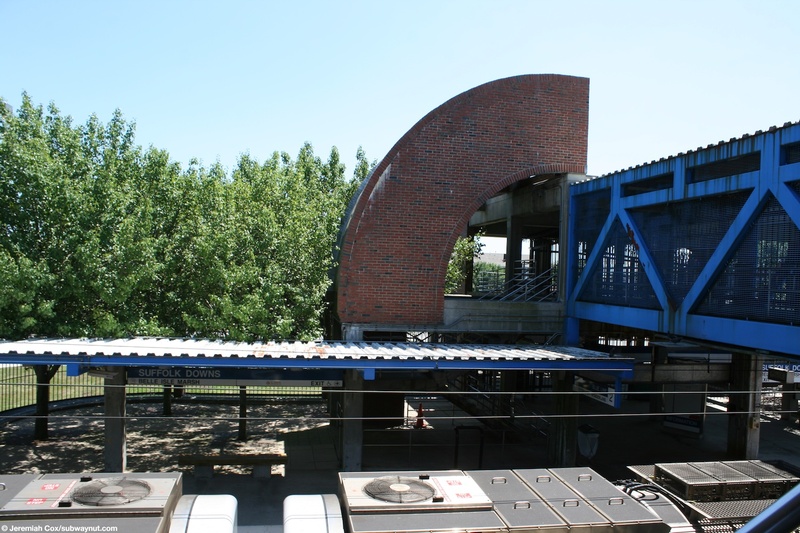 All of the station structures that hold up the overpass are bare brick.